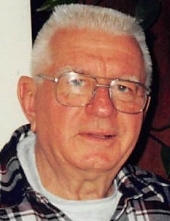 Robert W. Reschke age 88, passed away on April 10, 2019 at Hospice House in Cleveland. He was born on January 19, 1931 in Cleveland to the late, Albert and Laura. Robert was the beloved husband of Stephanie (nee Gaydas); loving father of Darryl (deceased), Duane (deceased), and Derrick (Susan); dear grandfather of Kelly and Cayden. Family requests donations to Hospice of the Western Reserve, P.O. Box 72101 Cleveland, Ohio 44192. "Email Address" would like to share the life celebration of ROBERT W. RESCHKE. Click on the "link" to go to share a favorite memory or leave a condolence message for the family.